I recently took a 3 week trip to the US and was reviewing whether to look for a low cost car park facility at the airport and have the hassle of leaving early to go to the park facility and then on my return having to call them to pick me up in a van, wait for it to arrive etc, you know the story, all the stuff you don’t need when you are tired after close to 24 hours of travel. 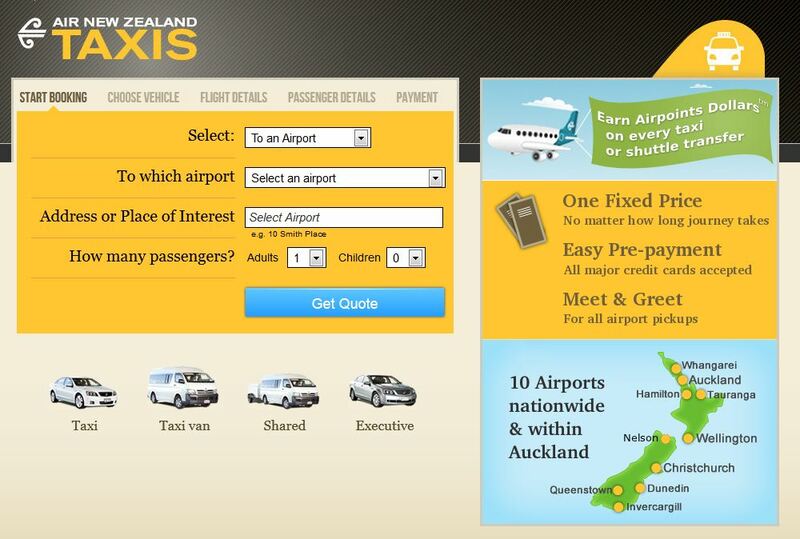 I decided to try the Air New Zealand Taxi service, which is one of our clients. They use our routing engine to determine the fastest route in time and distance and then allow you to select from 5 different transport options, from a shuttle to an executive car. They guarantee the fare, which you pay up front and even give you airpoints. One of the things you often worry about with taxis is whether they will arrive on time and of course being an Air NZ service, they not only link your service to your flights, but they they guarantee that if your transport hasn’t arrived within 15 minutes of the booked time they will provide you with a replacement vehicle AND a full refund. That’s confidence in their own service! I booked them for the return trip as well and this gave me extra confidence when my flight from Denver to Los Angeles broke down, that Air New Zealand Taxis would know if I ended up having to catch a later flight having missed the one I was scheduled for. It was also nice arriving back home in Auckland and seeing a driver waiting there with my name on a sign. I’ll be using this service again and am happy to recommend it both because they are a valued client, but more importantly because it is a great service. You know what you are getting, you know the cost up front and they deliver on their promise. On top of that, of course you are supporting New Zealand businesses and saving time and money. Btw, the site was developed by our friends at Bocapa.